It’s Lunar New Year and while the kiddies get red envelopes, what do the grown-ups get? 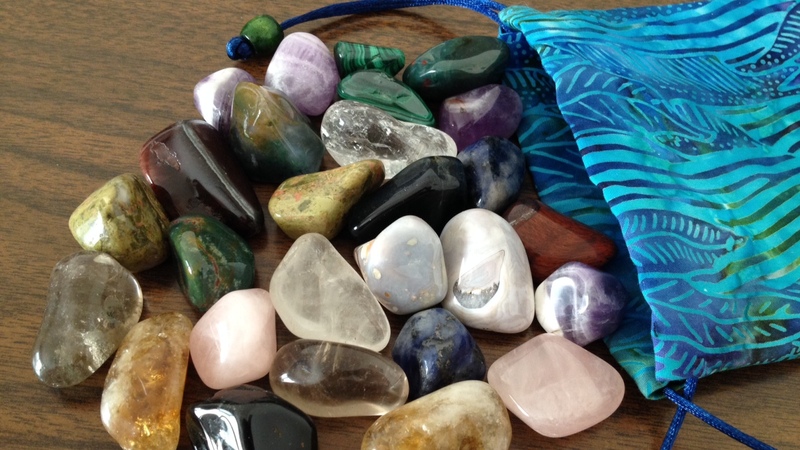 I’m starting a new tradition for myself, and that is a baggy of charged gemstones. Based on the type of stone, I categorize the stones per the ba gua (eight trigrams) and which trigram each stone corresponds with. This is all a personal intuitive process and not based on any tradition other than the one I’ve come up with. 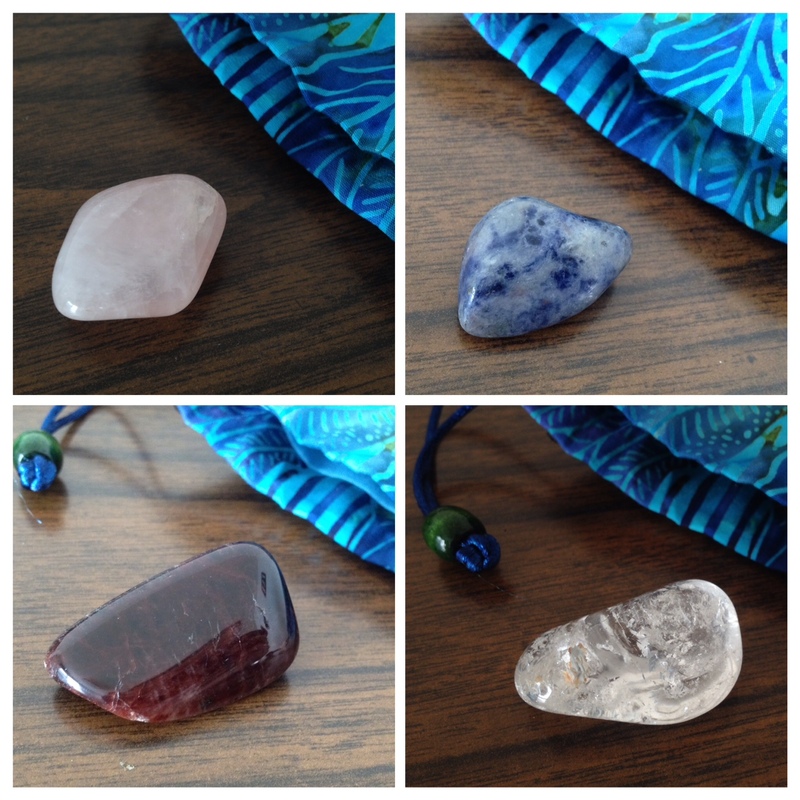 There are stones consecrated and charged specifically for wealth and financial prosperity; stones for career advancement; stones for increasing more love, romance, or family time into your life; stones of fertility, be that physical fertility or artistic creativity; and stones for health and wellness (I lump intuitive and spiritual development in with health and wellness, which runs counter to what Westerners would think, but in most traditional Eastern metaphysical viewpoints, all of that go together pretty much). 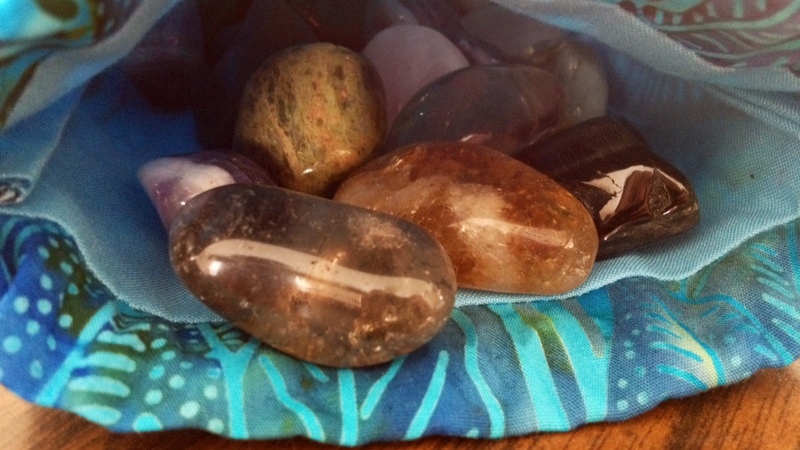 I’ve consecrated and charged the stones in five separate batches, on five different dates and times with different, shall we say, metaphysical methodologies, based on their purpose, a small handful of stone selections for each category. 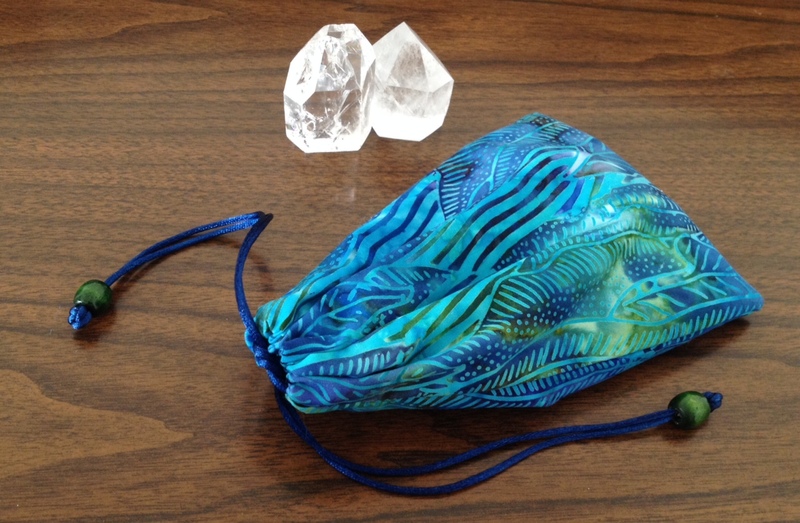 Then I place all of the stones into a drawstring bag (originally meant to be a tarot bag) gifted to me by someone special. This is the baggy I’ll be lugging around to all Lunar/Chinese New Year related social gatherings. You can see in the above sampling that we’ve got a little bit of everything– green moss agate, aventurine, citrine, sodalite, blue tiger eye, red tiger eye, rose quartz, clear crystal quartz, smoky quartz, pink Botswana agate, unakite, bloodstone, amethyst, moonstone, malachite, and maybe a few others I’m inadvertently leaving out right now. While the kids get red envelopes, our grown-up friends and family will be invited to reach into the bag and, without looking, draw out at random one stone. In divinatory style, that stone will be indicative of what area of that person’s life to focus and nurture for the Year of the Sheep. 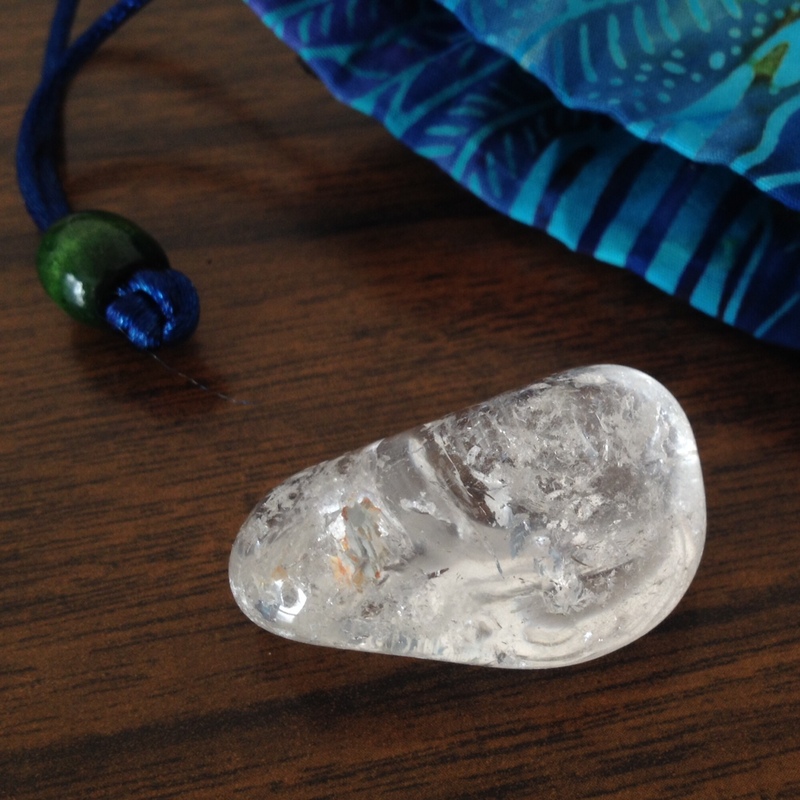 Then, that particular stone they’ve selected will be like a little lucky charm that attracts added positive energy into their lives for the year to help them in that particular area of life. I got blue tiger eye. Blue tiger eye is an ideal stone for anyone dealing with public relations, such as lawyers, politicians, or public figures, but are also great for writers, because blue tiger eye enhances knowledge, creativity, and communication, and so for writers, this stone really helps to clear creative stagnation. Makes perfect sense for me. This year will be a year of trying to market and promote my debut book Holistic Tarot but also help me with the development of my next writing project. That and, of course, it’s well in line with my day profession. I haven’t had Hubby draw a stone yet. Will need to do that later this week and see what he pulls out. Exciting new tradition! Happy Year of the Sheep! You are most welcome and thanks for swinging by! Peace and blessings to you, too! By the way, cool blog! I’m about to go there after this and read!! Thank you for reading! Happy Lunar New Year to you, too! Benebell, Gong XI Fa Cai! May the New Year of Sheep brings you Good Health, Goodwill & Good Fortune! Cool! I *should* know how to speak Hokkien because of my southern Taiwanese roots but alas, my Hokkien is quite crappy (okay, it’s nonexistent). Enjoy your New Year’s Eve! Make sure you eat vegetarian dumplings for peace and harmony, fish for wealth, lotus root for health, long noodles for long life, oranges or kumquats for.. um, something related to money again, I believe, and fill your house with flowers for prosperity! 😀 Also, clean your house before nightfall and no washing your hair tomorrow. I’m pretty sure I now sound like your mother or grandmother. Delighted to hear! Hope the book turns out to be useful! Love your idea with the stones. Happy New year! May this year bring you joy, hapiness and ood fortune in all your endeavors. Ps I got my copy of your book last week. I L.O.V.E every letter, page, chapter of it! Thanks for all your efforts you have put in this book. It is, without exagerating, a masterpiece! Thank you! Wow, I’m so grateful to hear that my little book resonates with you! That’s so awesome! !